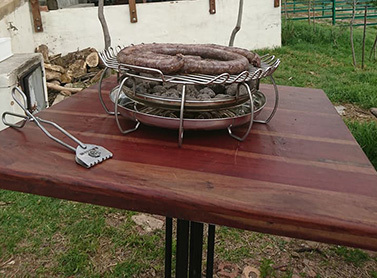 BonBraai is an innovative business that has recently introduced a new one-of-a kind braai into the braaing, grilling and barbequing community. 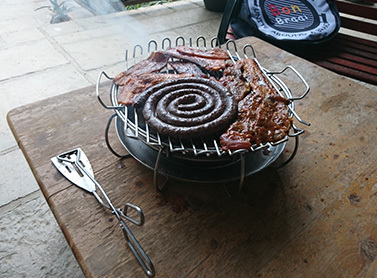 BonBraai launched at the Getaway Show in September 2017 over National Heritage Day “National Braai Day”. 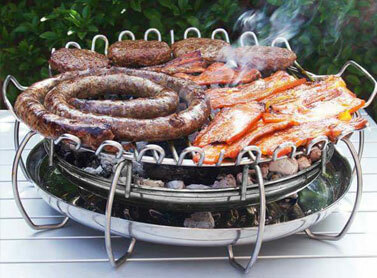 Our main product is the BonBraai. 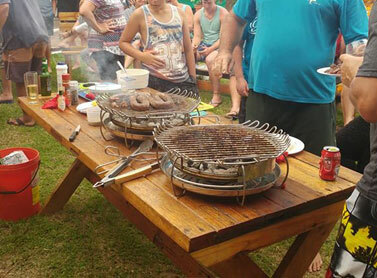 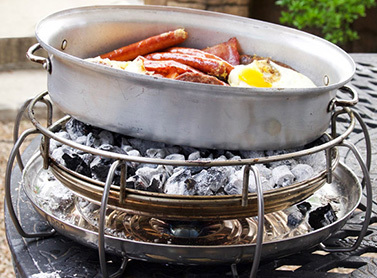 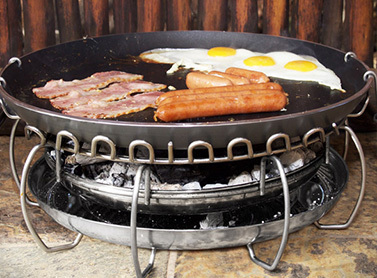 The BonBraai is a unique table top braai that can be used on any surface, plastic, glass, wood or on the tailgate of your bakkie. 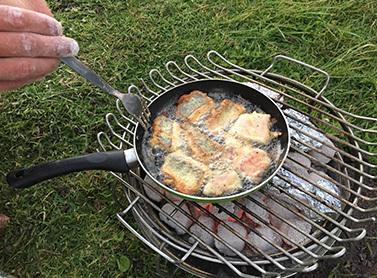 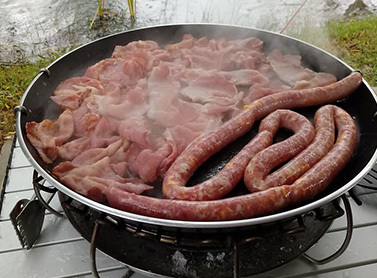 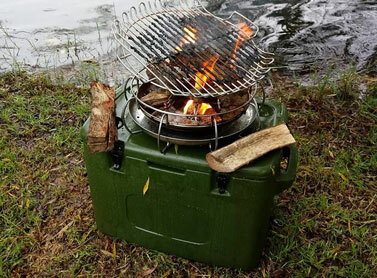 BonBraai being portable is ideal for campers, caravaners, outdoor enthusiasts, fishermen, hunters or for those who love exploring and braaing in remote parts of the world. 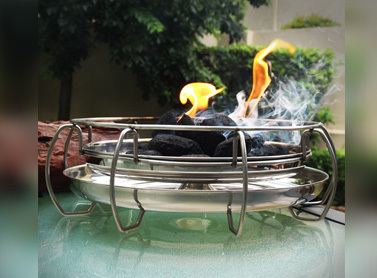 The BonBraai can also be used on the balconies, verandas or decks of homes, apartment complexes and flats. 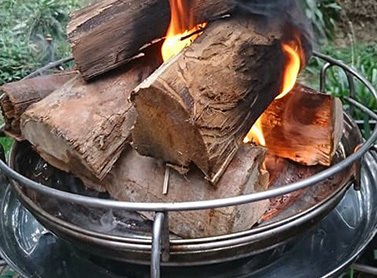 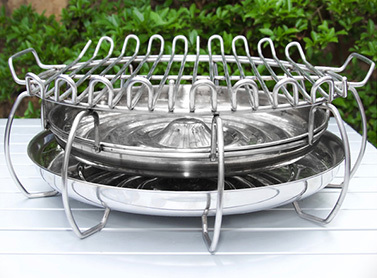 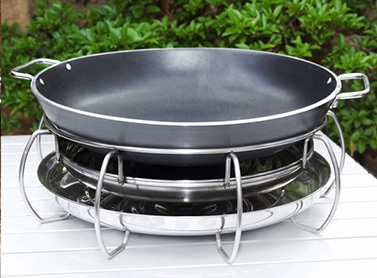 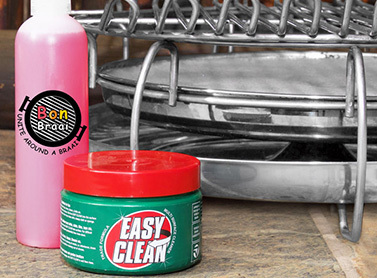 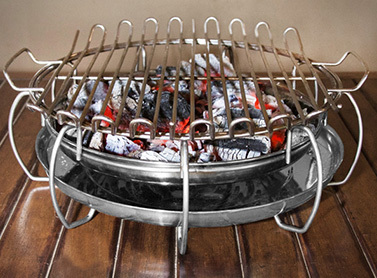 The BonBraai Charcoal bowl holds a maximum of 35 briquettes. 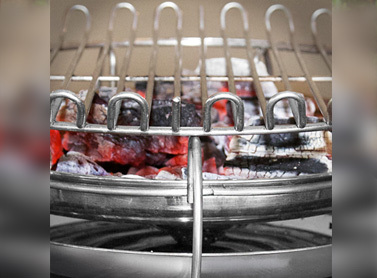 The amount of briquettes used can be easily adjusted to suit the amount of food that needs to be braaied, grilled or barbequed. 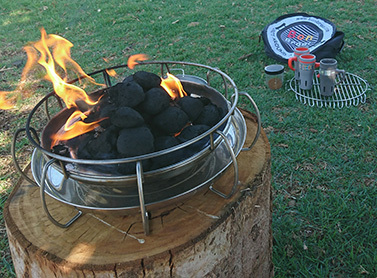 Lumpwood charcoal, Namibian hardwood charcoal and wood can also be used on the BonBraai.